A great way to connect Guayaquil with the fun of Montañita, plus the beaches and attractions around Puerto López, before climbing up to Quito. 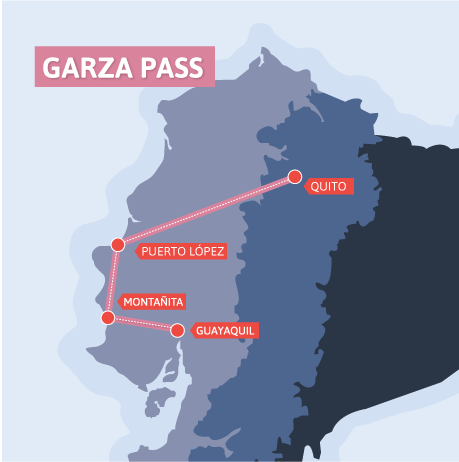 Connecting Guayaquil and the Pacific Coast with Quito, use this pass to hang out in Montañita and then explore Machalilla National Park and Puerto López (for whale-watching, in season) before climbing up the Andes to Quito. Connect this pass with any of our other passes and travel around the country. Head to Guayaquil to discover Ecuador’s biggest, most vibrant city, with its great seafood, riverside walks and intriguing pirate history. Surf with the pros, relax on golden beaches, explore beautiful national parks and party in one of the South America’s best nightlife towns, Montañita. Pickup Point: Holiday Inn Guayaquil Airport at 15:15. 15:15 Board the Wanderbus in Guayaquil. 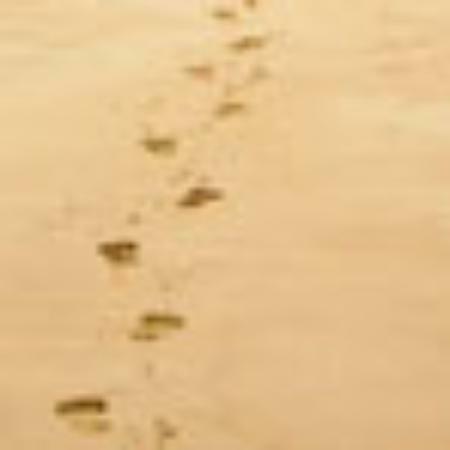 18:00 – 18:30 Arrive in Montañita in time to catch the sunset and hit the party scene. 06:50 – 07:00 Depart from Montañita from your selected pick-up point. 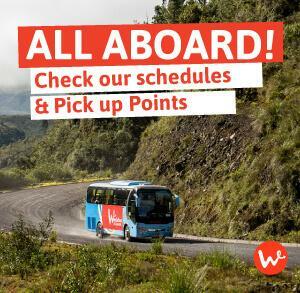 18:30 – 19:00 Arrive in Quito and be dropped off at one of our points.